Alessia is going through a difficult time: her husband has left her for his secretary, her job as a realtor is going badly and her life appears to have lost all meaning. 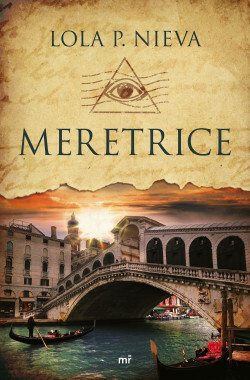 Just as she’s about to give up, she gets a posthumous letter from her grandmother Ornella, whom she never met, in which her relative reveals why she distanced herself from the family: she was obsessed with uncovering an ancient mystery hidden in the diary of an ancestor, Alonza di Pietro, a famous courtesan from the 17th century. Alessia discovers the dark secrets of nobles and men of state and also learns about the courage of a woman who wrested control of her life with wisdom and strength and who tried unsuccessfully to flee from love. With the help of a handsome but enigmatic cryptographer, Luca Vandelli, she will follow the hidden clues and face an unexpected danger: falling in love once more. The life of an ancestor contains the key to uncovering a secret and saving Alessia’s life in the present. Her novel Los tres nombres del lobo won the 1st Leer y Leer Literary Award and the Tres plumas Award for Best Historical Romance Novel in 2013. She is one of the authors who has received the most five star reviews on Amazon and many prestigious awards. Two women, two different eras, an encrypted treasure hunt and a great love that stretches across centuries to bring two people together. An outstanding, spectacular novel that brings history to life in a twisting plot filled with numerous clues that ensure that the reader’s attention is gripped from beginning to end.